Domestic Divas Blog: Books That Are Cookin: Did Cooking Lead to Human Evolution? 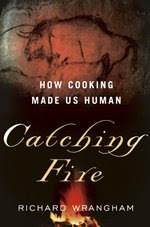 Books That Are Cookin: Did Cooking Lead to Human Evolution? Click here to read the NY Times Article on this new book!